Between the accession of Charles I to the throne in 1625, and the birth of his first son in 1630, the English royal family had a problem: not only was there no direct heir to the throne, but the relationship between the King and his young French wife was fraught with political and religious tensions. 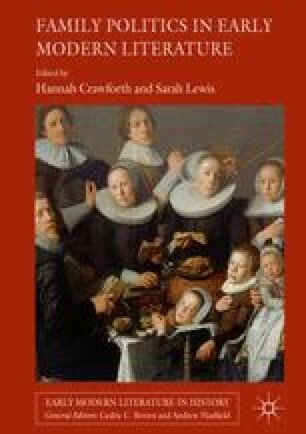 This chapter shows how the drama of the period grappled with this problem: the lack of an heir was presented as a secondary issue; the assertion of national masculinity through the control of wives was more the focus of the drama. The drama therefore finds ways of linking the subject’s masculine authority to that of the king.